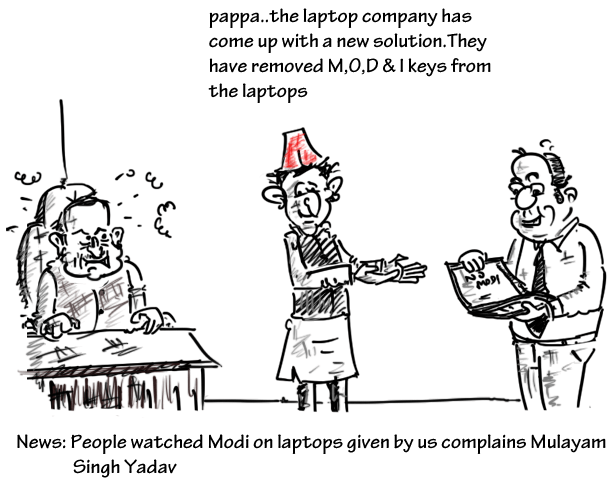 SP supremo and father of UP CM-Akhilesh Yadav, Mulayam Singh has blamed the UP govt’s project of distributing laptops to students as the major reason of UP voting for Modi in Genral Elections. He said, on his laptops ( although the money spent on the laptops is from the Govt funds) people watched Modi and voted for him in General elections. All claps for that funny excuse.